The zombies are revolting ! Attack the city with a horde of zombies, change pedestrians into zombies and create the largest horde. 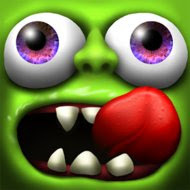 Eat your friends, and challenge them to a crazy race by destroying everything in your path. Zombie Tsunami has proudly exceeded 200 million players around the world.